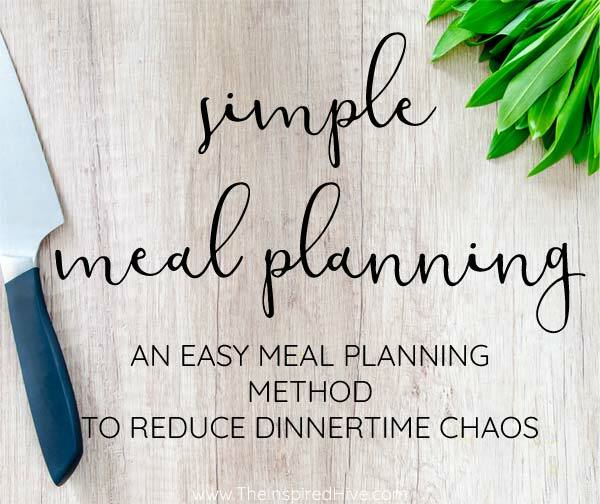 A simplified meal planning method for busy and overwhelmed moms who just want to get dinner on the table on time! It's no secret that my family and I have had a lot going on over the past year. We didn't exactly plan on making a long distance move and having a baby all at the same time, but sometimes life happens and you have to make fast decisions to do what's best for your family. We couldn't be happier with the big changes we made, but it was still a lot at once, and we are still trying to adjust and get settled. Aside from the boxes that still need unpacked, or the ordinary life of parenting two kids age two and under, one of our biggest struggles these days is dinner time. Frequently, my husband comes home from work, and I haven't even had the opportunity to think about what's for dinner, much less to actually prepare anything. (And even when I ocassionally do have the time... have you ever prepped a meal with a baby strapped to you and a toddler at your feet? 😂 ) Our youngest son is ready to go to bed about 30 minutes after my husband gets home, so we scurry to throw together a quick dinner which usually isn't the tastiest meal in the world... Dinner time is pure chaos. So a couple months ago I decided we needed to make a change. We needed to start meal planning and making sure we had ingredients on hand so that "what's for dinner" would no longer be a question. 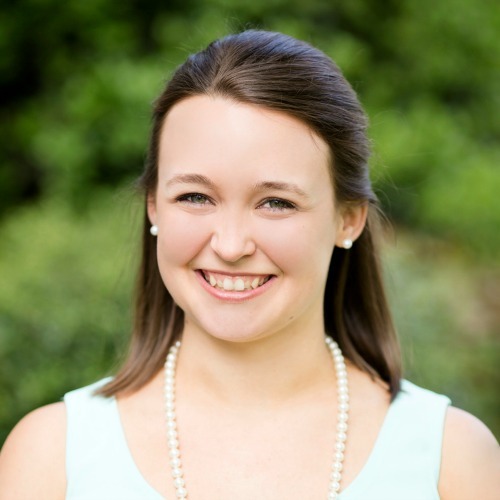 I learned very quickly, however, that meal planning can be extremely overwhelming when you are just starting out (and have two young kids!). It's easy to pick out a bunch of meals that sound delicious and then realize that they need a ton of ingredients, a ton of prep work, and a ton of cooking time. Before you know it, you've given up on the meal plan because it was harder to maintain than when you didn't have a meal plan to begin with. 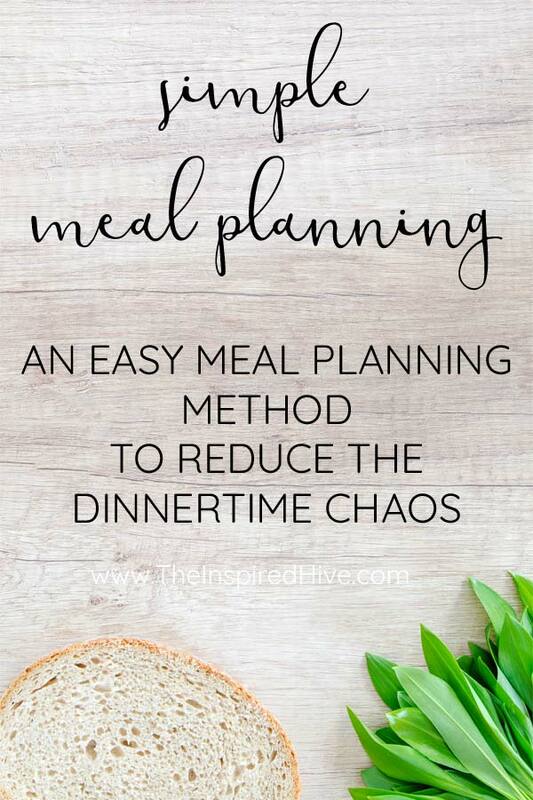 But I also knew that meal planning could save us precious time during the evenings, and that it can also be a huge money saver. So I was determined to find something that worked for us. For this season in our lives, I needed a plan that didn't require a lot of time. So I worked on simplifying the process. Meal planning as a whole is still largely a work in progress. But I wanted to share what has been working for us. This is my super simplified method of meal planning. We're talking baby steps here. It's an easy way to get started if you are feeling overwhelmed. Once you get comfortable, you can take on a more complex meal plan. Keep breakfast and lunch easy. Choose 3-5 quick meals that you don't mind eating frequently and can keep on rotation. Don't create more overwhelm by trying to make complex meals for breakfast and lunch. Focus on dinner first. Tackle breakfast and lunch once you have the hang of meal planning and have found time for more meal prep. For example, for breakfast we have been rotating oatmeal, eggs, pancakes, and waffles. It's not a rigid schedule. This gives us flexibility and also gives our toddler the ability to help choose what he wants that day. 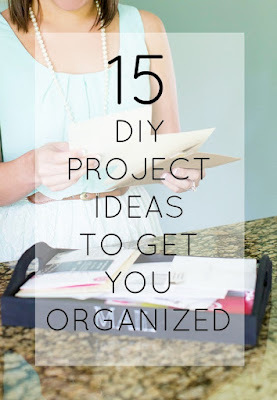 Spend an hour brainstorming and browsing recipes. Find fourteen entrees that don't require a lot of prep work that you wouldn't mind eating every two weeks. We are building a two week rotation. If you already have a few meals you've made before that are easy to prepare, add them to your list. Also try searching Pinterest for easy meals, fifteen minute meals, dump meals, crockpot meals, and freezer meals. You can try my meal planning worksheet by joining my newsletter to track which meals will be on which day. Choose simple side dishes for now. We are currently doing a lot of salads, frozen vegetables, riced vegetables (you can buy them pre-riced these days in the freezer section! ), and sliced baked sweet potatoes. Gather all fourteen entree recipes in the same place. You don't want to waste time hunting for the recipe come dinner time. I have a secret board on Pinterest titled "Two Week Meal Rotation" that I have pinned all of my recipes to so that I can quickly find them on my phone. I also wrote them all down on paper to keep handy if needed. 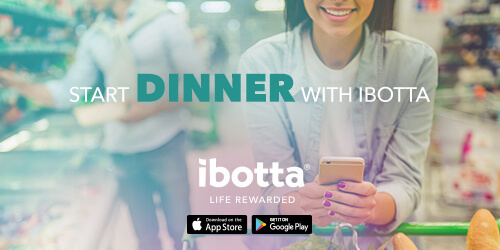 Write down the ingredients from all of the recipes, plus your side dishes and breakfast/lunch ideas (and obviously any other basics you typically buy). This is your grocery list for the next two weeks. Check your meal plan each night and put anything that needs to be defrosted for the next day in the refrigerator. Set out the dry goods you will need so you'll be ready to go. If more prep work is needed, utilize nap times. Sometimes I'll take a few minutes during naps to measure ingredients like milk, water, cheese, flour, etc. You can always put them in a bowl in the fridge. Come dinner time, everything will be ready for you to dump in and cook! I know eating the same meals every two weeks can sound boring, but it's really not that bad, and it's just temporary. This phase is just about reducing the dinner time stress and having a meal ready to go. Plan on repeating your two week rotation at least four times. This is plenty of time for you to build the habit of planning, prepping, and cooking dinner and to find your new routine. Once you've gotten into the groove of things, you can start expanding your meal plan. Perhaps try a three or four week rotation. 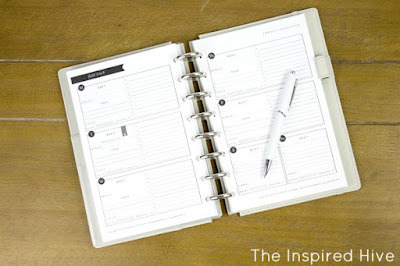 Once you can handle four weeks and are ready to stray from the rotation, try to have a monthly planning session where you choose your meals, organize the recipes, and make your shopping list. We've been doing this rotation for about two months and are ready to start changing things up. I just bought this meal planning mini bundle for $27 that includes an e-course on building a capsule pantry, several e-books and meal planning guides, and a book of done for you meal plans! I can already tell this is going to get us started on the right foot. There is a freezer cooking bundle I'm interested in too. (There are also several more specific meal planning categories if you have a particular diet you need to stick with like paleo, gluten free, keto, and vegan). Grocery Delivery- Peapod, Amazon Fresh, Safeway, and Thrive Market are all highly rated. I've also heard great things about Harris Teeter's grocery pick up service. Try a service like Boxed for items you want to store in bulk. Meal planning- E-meals simplifies the process by creating a meal plan and then sending your grocery list to your grocery delivery service for you. Meal delivery- Consider a service like Hello Fresh that delivers planned meals ready for you to prep and cook. Ready to tackle your two week rotation? 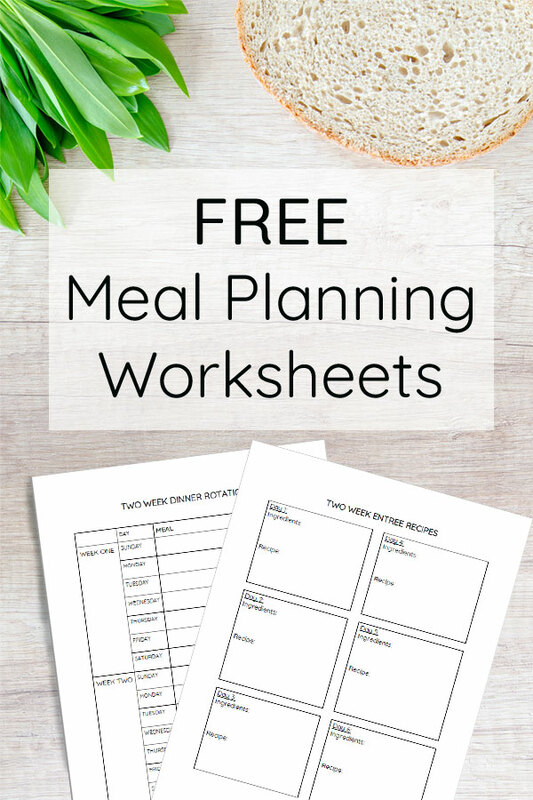 Sign up for the newsletter to print my free meal planning worksheets!